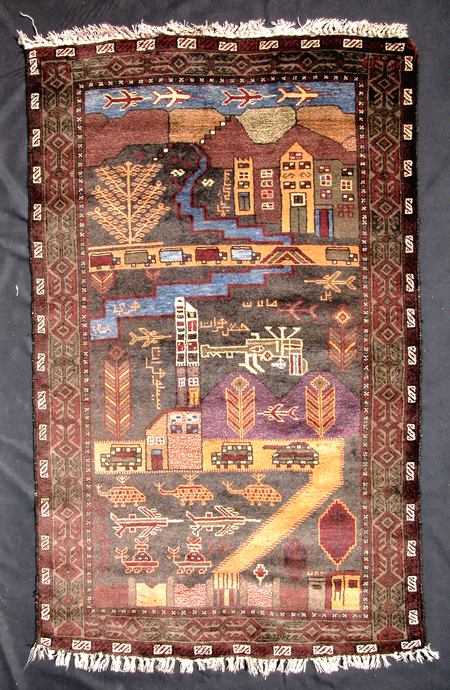 You will see that the major elements of the second carpet are a mirror of the first – even though some of the minor elements float around the pictorial spaces. 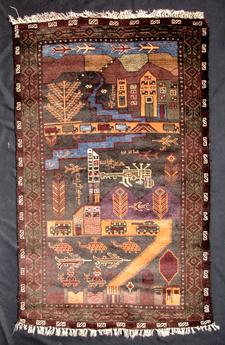 Two things can be derived from these observations: one it is common to find mirrored figures in pictorial rugs, suggesting one is copied from the reverse of the other. 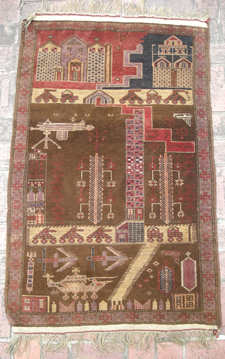 Secondly, the pattern is flexibly interpreted: see how the machine gun and other elements are moved around by the maker, flipped upside down, reinvented. This suggests that either the cartoons for each element exist as separate patterns, or that the makers carry even these new designs in their memory, and as we do using Photoshop, they can flip the design to fit the spaces. Impressive! 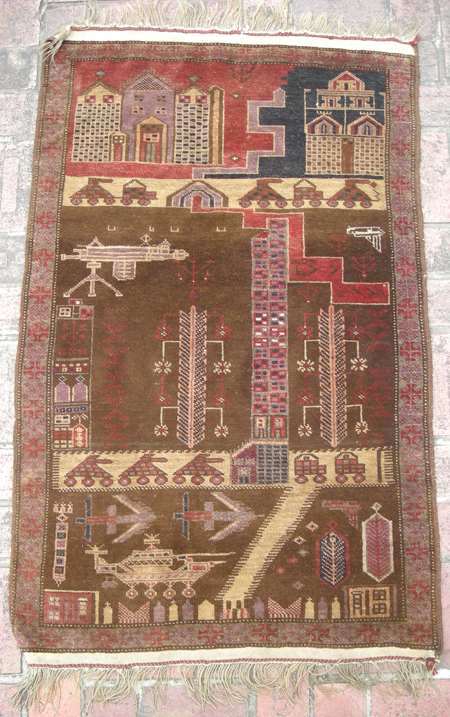 This entry was posted on December 21, 2007 at 10:24 pm and is filed under The interpretation of war rugs. You can follow any responses to this entry through the RSS 2.0 feed. You can skip to the end and leave a response. Pinging is currently not allowed.